Hi. Thanks for stopping by! Feel free to look, but please know that the store is not open and some pieces are no longer available. I'm updating my site...so watch for fun, new jewelry to be posted mid-February! If you have questions please email me at the contact address listed below. Can't you just imagine a picture of a secluded beach in these enameled frames? They are colored on both sides so a soft breeze won't show a back side. Topped with a small check glass bead, this pair is a perfect match for shorts, sun dresses, or something cool for the office. Ear wires are lead and nickel free. 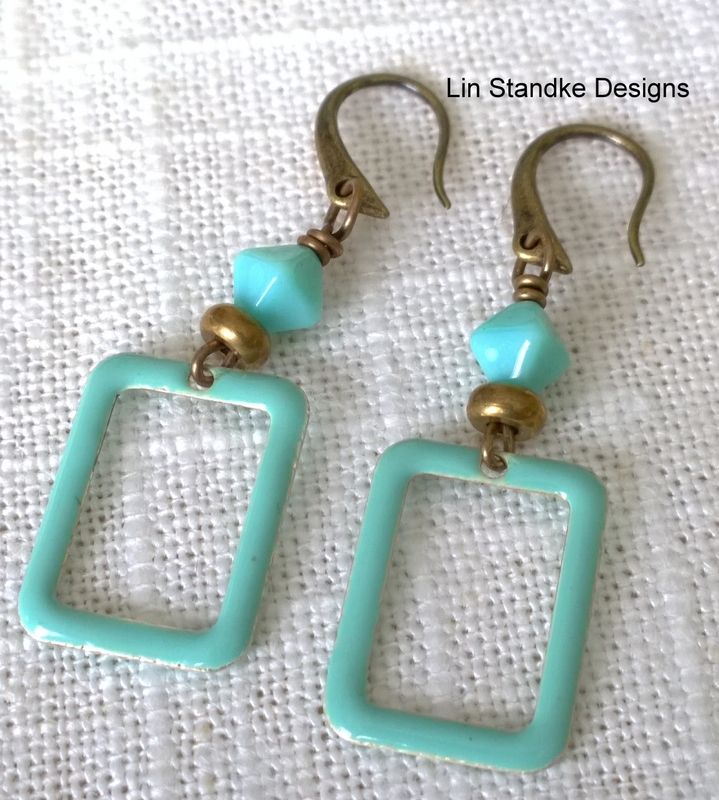 Earrings measure 1.25 inches from bottom of ear wire. » Tagged: Art for your ears!